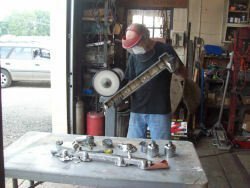 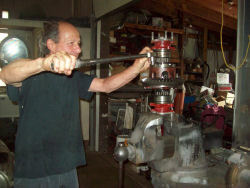 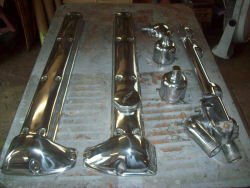 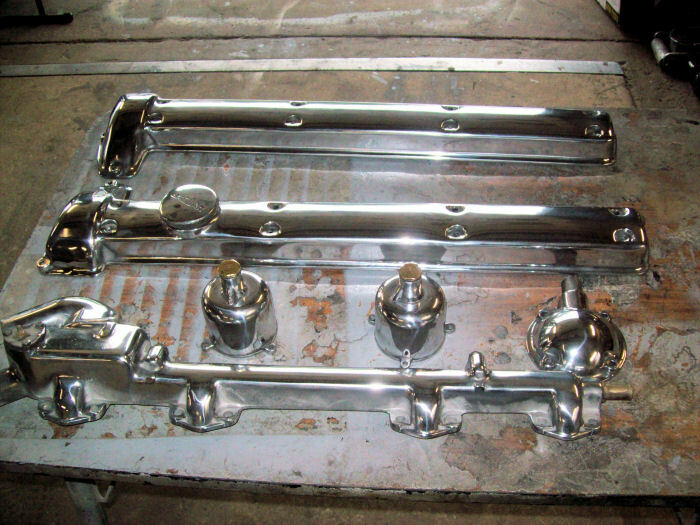 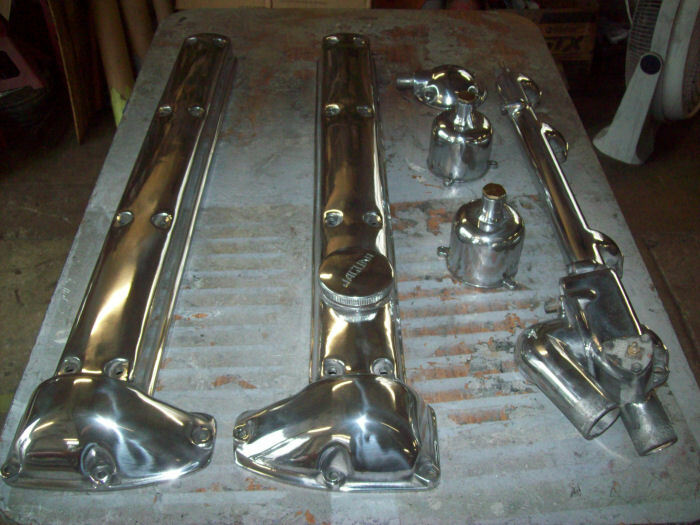 Terry polishing the aluminum cam covers, dash pots, intake coolant tube, etc. 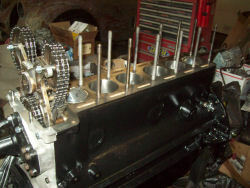 Engine block fresh from the machine shop, with newly replaced pistons. 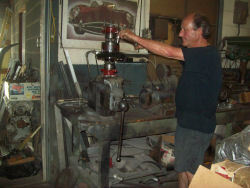 Terry rebuilding the rear differential. 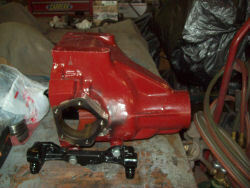 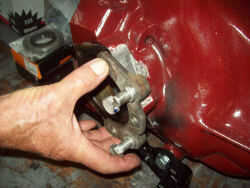 Fitting rear brake brackets to the rear differential housing.